Meet our team of dedicated and experienced tutors. For your peace of mind, all of our tutors are DBS checked. Drawing and Sketching; printmaking workshops. After completing my degree in Three Dimensional Design, I ran a small business for nearly 10 years, producing hand painted tiles and ceramics. I then returned to education to undertake an MA in Fine Art: Print. 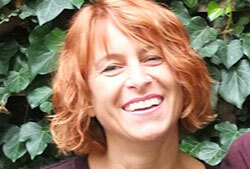 I trained to teach in adult education, leading to teaching roles at Wimbledon College of Art and Kingston University. I have taught a range of courses including Life Drawing, Printmaking and Photoshop to degree students and adult learners, whilst also continuing to develop my own artistic practice. What do you like about teaching at Courtyard? When I first moved to the area I struggled to tap into a local art scene, until a chance conversation at an art fair led me to Courtyard Arts. It’s fantastic to have a centre both for art and education, providing a focal point for local people interested in the creative arts and offering real opportunities to get involved. Everyone I meet connected to Courtyard is so enthusiastic and committed. I really feel it’s important for artists of all levels and abilities to feel part of a creative community, and I’m now delighted to be part of Courtyard Arts and to help it grow. On leaving school I studied Graphic Design at Sheffield College of Art. There was then a large gap until completing an HNC at Ware College. I am a mark maker and enjoy using a variety of media to develop my work. As a child I was fascinated by Van Gogh’s drawings, so I guess that is where it all began. I was a lecturer at Harlow College. I mainly taught adults with learning difficulties but was involved with mainstream teaching, too. I regularly teach life drawing and mixed media at Gravelly Barn and have also taught at Broxbourne School. I like the whole community approach – from beginners to more established artists. 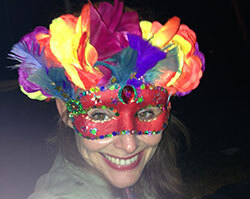 Ceramics for adults and children; Art & Clay for children; art parties for children. It took ten years of part-time study while working and bringing up three children to get my degree in Applied Arts, spending years on access and then an HNC qualification. With hindsight, I think it was great to go so slowly and to give myself time to reflect and grow into who I am. Working with other creative people makes me feel like I am swimming in a gigantic river that branches off in all sorts of lovely directions with lots of other colourful fish – I can’t imagine doing anything else. The artists that I feel inspired by are Mark Rothko for the emotion reflected in his work; Antony Gormley for the way he makes me think about being human; Andy Goldsworthy for his respect and love of the environment; and Louise Bourgeois whose tortured mind really makes me think. Artists who make me think and feel are always top of my list for exhibitions to visit. Outreach in the community (MIND, Carers in Herts, Dyspraxia group, Paradise Wildlife Park, Vale House addiction centre and others); Artshed; Sele School; my own classes at my Digswell Arts Trust studio; home-schooled children and after school workshops; various primary and secondary schools. Courtyard is a wonderful creative environment where people are treated with care. Everyone has always been very encouraging towards me as a tutor and I really enjoy chatting to whoever is in and seeing what everyone has been up to. Courtyard treats everyone the same way, whether they have come to look around or to take part in a workshop. I also love having the artist in residence in the gallery for a month each year, it is such a pleasure. Courtyard is full of eccentric artists so no one is surprised when someone is a little bit late, or a little bit disorganised. The cakes are good, too. Fine Art Degree, PGC Transpersonal Arts and Practice, Level 3 Diploma in Teaching and Learning. Teaching in Further and Adult Education, private classes and tuition. I am new to teaching here in 2018, but I look forward to the experience of working in the community spirit of what I know Courtyard to be. 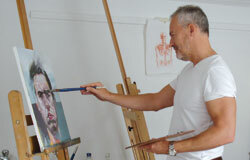 Access to Art and Design; HNC in Fine Art; City and Guilds Life Drawing; City and Guilds Teacher Training. I have been influenced by many artists – including Modigliani, Degas, Henry Moore, Christo and Jean Claude, David Hockney and Peter Doig – the list is endless. I have also been inspired by the group of artists I come into contact with during my workshops and during the exhibitions we organise. Watching people work has helped to develop quite a passion. I started to teach life drawing at Hertford Regional College about ten years ago, and then established my own classes at Place House Hall in Ware. Over the years I have set up workshops at Gravelly Barn in Braughing, sharing the teaching with a good friend and fellow artist. We now have workshop days and a Summer and Autumn school looking at all aspects of life drawing. I have also worked with A-level students at Broxbourne School, Simon Balle School and Dame Alice Owen School, helping to develop their life drawing portfolios. 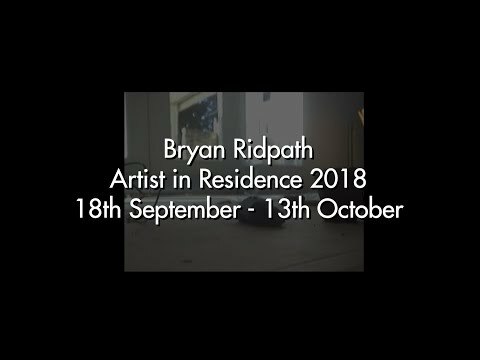 I have taken several days with local art groups and worked for four years at the University of Hertfordshire teaching life drawing to Animation students. We are currently setting up team-building days exploring communication through creativity at the EJD studio in Gravelly Barn and our charity fund raising continues to be an important part of the timetable. I have met a fantastic range of artists, each bringing their own enthusiasm to the speciality. Courtyard reaches into the community and enables everyone to enjoy and participate in art. I like being part of that energy. Watercolour Painting, Oil Painting, Mixed Media and Drawing Media. Fine Art & Art History degree. My influences: Renaissance, Pre-Raphaelites, Abstract Expressionism. Over 15 years, mainly teaching adults. Stained Glass; Tiffany Style – stained glass. BA (Hons) Graphic Design from Hornsey School of Art. I am influenced by William Morris, Alphonse Much and the Pre-Raphaelites. One-to-one teaching; workshops for Courtyard Arts. It is a great hub of learning and creativity for all age groups, so many interesting people from different disciplines of art and craft. There is always something new to learn in a warm, friendly environment. Tiny Artists – an art class for pre-school children and their parents and carers, exploring the creative process and looking at how art-making in early childhood develops skills in cognitive, socio-emotional and motor development. Outreach community-based art projects. Working with a wide sector of groups within the community to help engage in the arts. Applied and Media Arts BA(Hons). Childhood associations with the West coast of Ireland – where once religious ritual, myth and magic were an integral part of life – draw me to objects and places that embody a sense of enchantment. Big skies, old storybooks read over and over by the firelight, holy relics invested with so much heart-rending trust. A full moon that showers the garden at midnight with silver. The ability that small children, cats and dogs have to sit and stare at things that adults cannot see. All the visionary artists, writers, poets and music makers that give me joy and make the invisible visible to the world. For over ten years I have worked as a tutor for Courtyard Arts and also as a freelance community artist. I work with children and adults of all abilities and I have a wide range of experience and training in planning and delivering bespoke art workshops in the following community settings: primary schools; local authorities; charities who support people with mental health issues, learning disabilities and physical impairments; children’s centres; schools for children with additional educational needs; museums/The Big Draw; Paradise Wildlife Park; residential homes for the elderly with dementia. Kiln Fired Glass. There are very few places where you can learn this skill, and I am proud to be able to pass on my knowledge to others. I have a B.Ed degree in Art and Education from Sussex University. My glass work has been influenced by Yayoi Kusama, Dale Chihuly, Katsushika Hokusai, Bill Woodrow, Louise Bourgeois, Sophie Ryder, Jaume Plensa, Andy Goldsworthy, David Nash, David Hockney and many more. I was Head of Creative Arts Faculty and Head of Art at Sele School, Hertford for 20 years. I have taught art and textiles in London and Peterborough, and have also taught Kiln Fired Glass in Norfolk and at my studio. I began teaching at Courtyard in 2015, and have found everyone that I have met so far – volunteers and staff – to be extremely helpful and encouraging. One of the main attractions of Courtyard is the atmosphere. It is very calming; a beautiful place to be. I enjoy looking at the ever-changing exhibitions and can guarantee that there will be at least one piece of work that I really like and can draw inspiration from. You can meet friends for a coffee and cake, and the cards and gifts on sale in the shop are brilliant. It is also very important that we keep the arts thriving in Hertford. With a BA(Hons) in Ceramics, I am influenced by the human form, especially the implied movement of sculpture and facial expressions. My inspirations include Edvard Munch, Anthony Gormley, Barry Flanagan, ancient ruins and mythology. This has been my first opportunity to teach. Since finishing my Ceramics degree, I worked for over ten years in creative marketing. I am very excited to be working professionally within the world of ceramics, passing on my knowledge, skills and ideas. I’m thrilled to be part of such a warm and creative environment, to be part of a place where art is for everyone of all abilities. It’s a sentiment close to my heart. After a Foundation Diploma at St Albans School of Art, I studied Graphic Design and Typography at Wimbledon School of Art. My early career was in advertising and as a freelance Graphic Designer. I have been influenced in my latest work by Japanese woodcuts and designers Sybil Andrews and Cyril Power. Coming from a design rather than fine art background, my printmaking uses pattern and line to a great degree and is influenced by the Modernist movement. I have also been playing around with type as an image for a number of years, influenced by Alan Kitching and the Dutch typographer Hendrik Werkman. I like to experiment and combine different techniques: mono printing, lino, dry point and screen printing. I always take a sketchbook with me to record ideas when I travel. I enjoy sharing ideas and find there is always something new to learn from other artists and students. I have 25 years’ experience teaching subjects including Graphic Design, Advertising, Printmaking and Art & Design (at a range of levels: CGSE, A level, BTEC, GNVQ, AVCE, Foundation Degree and community and adult learning). I became Head of Art at Oaklands College in 2009. I am now retired but still teach and run workshops. I began teaching here after becoming a member in 2013 when I moved to Hertford, but I have known of Courtyard for many years. I am thankful for the opportunity to teach here and am looking forward to getting to know other members. Acrylic Painting and Sketching workshops. I am self-taught. I have worked as a professional commission artist since 2002. My passion and focus is to help others realise their creative dreams and goals in art. I coach, mentor and teach adults and children in art workshops and one-to-one lessons. I run art holidays and teach a range of different media. I have taught at various locations across the region in recent years. The people are all so friendly and passionate. It is an honour to be involved with a creative centre offering dedicated creative learning to the community of Hertford. Little Screen Film Club and Animation for young people. I studied Illustration and Animation at Coventry University where I learnt a range of skills in traditional and modern approaches to both practises. During my studies I gained professional training in stop-motion, 3D and hand-drawn animation techniques. I continue to practise freelance illustration and am fuelled by the influences of modern illustrators and designers such as Anna Bond, Rob Ryan and Paul X Johnson. I love having the opportunity to teach animation to children. It is wonderful to see young students come to class with a flair for animation and watch them apply their innocence and ideas to some time-old and complex techniques. Fun Art and Exploring Art for children. Art has played a big part in my life since childhood. I studied Graphic Design at Hertford Regional College after leaving school. During my time there, I found a love for illustration and painting. I am interested in finding new ways to produce art works and I continue to enjoy learning and being inspired by those around me. My influences include Monet and Van Gogh; Picasso and Dali are also particular favourites of mine. And from the world of illustration, Quentin Blake (of course), Maurice Sendak and Anthony Browne, to name a few. I am currently an Early Years Foundation Stage teaching assistant at a local Hertford school. My experience also extends to teaching art clubs and helping with various art projects for the school over the years: back-drops for plays, printing and model-making are among the things I have been involved with. More recently, guiding Year 6 children in producing canvases for their leaving legacy to the school. Courtyard is full of inspiration, from the exhibitions, to the people I have met and continue to meet. It is a friendly, welcoming place for all. To be able to be part of Courtyard and provide children with a place to explore their own creative sides is a dream come true. It has provided great opportunities for my own children also, who have attended – and still attend – classes here. I studied Graphics at Loughborough University and completed a certificate in Education at the University of Hertfordshire. I continue to practise as a printmaker from my home studio – specialising in lino, drypoint and monoprinting – exhibiting and selling my work locally. I have been involved in art education for over 30 years, progressing from Lecturer to Head of Art, Design Media and Performing Arts, and then to Director of Faculty of the Arts in further education colleges. I have taught across a range of disciplines – including life drawing, painting, photography, graphics and printmaking – to ages from 16+ to the over-eighties. I have coordinated an access programme designed for adults returning to education and I particularly enjoy engaging people in the world of art. I am a committed educationalist, passionate about developing individuals’ creativity. I am new to working at Courtyard and am looking forward to becoming part of the team. so far everyone has been extremely welcoming and supportive. Degree and Postgraduate Diploma in Fine Art; Postgraduate Certificate in Education. Managing Higher and Further Education Fine Art programmes. Teaching on a range of Fine Art and design courses. Working with students of all abilities from a variety of backgrounds. Art & Clay for home educated children; Ceramics. BA in Fine Art; PGCE in Art & Design; trained to teach Arts Awards (bronze and silver). Teaching in schools and private tuition. It’s a friendly, caring environment with varied classes and activities aimed at a broad audience. The small class sizes mean you get to know your pupils and vice versa.